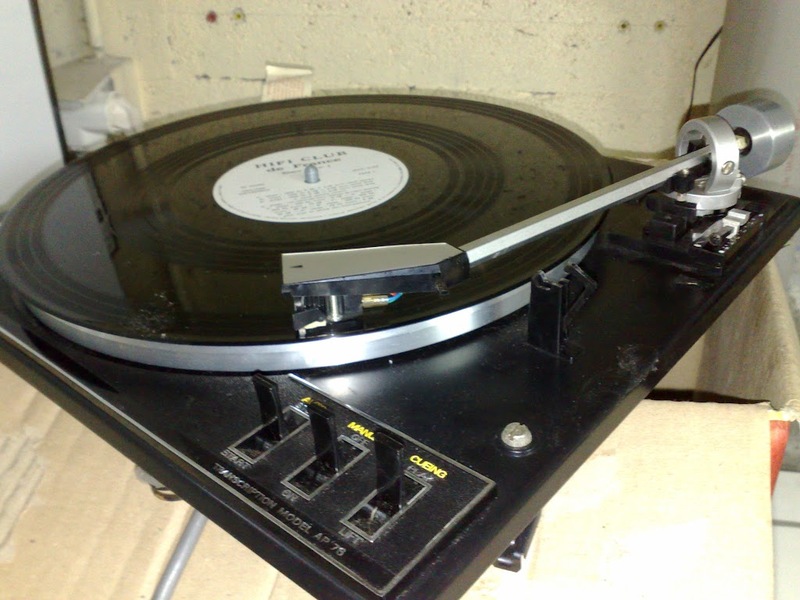 Comme vous l'avez peut-être déjà lu dans ce forum, j'ai eu la chance de mettre la main sur une Garrard AP76 NEUVE de 1975 (en gros) . Un bémol : le moteur fait un bruit de casserole.... J'ai déjà entendu ce phénomène sur une zero-100 avec le même symptome : la poulie moteur descend lorsqu'on met le moteur en route et le cul du rotor vient frotter dans le cuvelage de fond de panier du moteur. Au démontage, tout cela a un jeu énorme et on a l'impression qu'il manque quelque chose. Une cale ? Un ressort ? une cale ET un ressort ? Bref, avant de tatonner et de risquer de faire des conneries, si quelqu'un avait soit le manuel de maintenance soit une vue éclatée du moteur Garrard Synchro Lab ça m'arrangerait bigrement. L'AP 76 est fort peu répandue en France, d'où mon intérêt pour cette petite platine, mais fondamentalement c'est le même chassis que les SL95, AP75, ZERO92 et ZERO 100..... et donc le même moteur. Sur un autre forum, il y avait ce problème de posé. ça ressemble au tien, non ? C'est en anglais mais bon.. I picked up a beater Zero 92 for playing 45s and 78s. The good news was the grease was still fairly greasy, although a bit gummy, and the idler was in great shape. The tone arm seems good to go as well, in its complicated way. I did the usual clean, grease and oil of the mechanicals before I even plugged it in. The problem was the motor - it grunts and groans along, barely turning the spindle for the idler wheel. It has a rattling sound to it while on. I had the platter off, and the idler off the spindle and it is the motor. I have run into all kinds of goofy things with old Garrards, and don't think I have ever seen one of the motors go haywire before. But I am game for anything, so I am willing to take the motor out and strip it down to lube it or look for something bad. But I have never done that before and am curious for how to go about it. Is there a service manual out there that tells you, or has anyone got a good idea of what is going wrong here? Always appreciate the help here. Thanks! The central rotor of the Synchro Lab Motor is a two part device with two magnets stuck together. I serviced a Zero 100SB for a friend which exhibited the same symptoms that you are describing and it turns out that the two parts had become unstuck, so the motor was still working but rattling like a good 'un! All i needed to do was stick the two parts back together and everything was fine again. Entre les photos de ce que j'ai trouvé et l'explication que tu as trouvée, plus claire et plus détaillée, ça devrait le faire. Je prendrai des photos de l'intervention et je posterai ici .... en Français !